Mickey, John and I meet IN PERSON in Las Vegas and talk about classic “Guerilla Marketing” by Jay Conrad Levinson. We share our favorite “guerilla marketing” tips, and talk about what works (and doesn’t!) in aviation marketing! Paula Williams: Welcome to today’s episode of our book club discussion. We’re talking about Guerrilla Marketing by Jay Conrad Levinson. 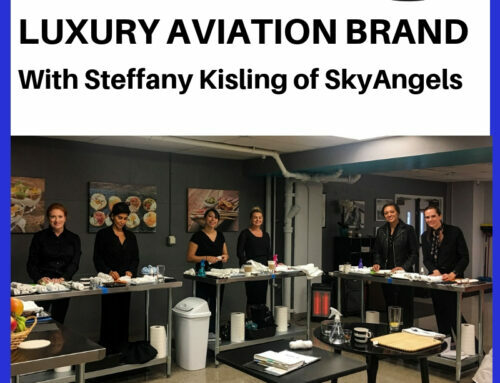 This episode was brought to you by our Aviation Marketing Lab where we debut as many tools and resources as we possibly can to help small to medium sized aviation companies sell more of their products and services. Michael Gamonal: Hey everybody! Thanks for joining us today on ABCI’s book club. Aviation Business Consultants. My name’s Michael Gamonal. I’m with Gamonal Tutors LLC. Paula Williams: Paula Williams with ABCI. John Williams: And John Williams with ABCI. Michael Gamonal: And today we’re discussing Guerrilla Marketing, the latest book within the book club. The book that started the guerrilla marketing revolution, expanded and completely updated to the 21st century. It is also by Jay Conrad Levinson. First impression of the book? What’d you guys think? Paula Williams: We actually read this a few years ago so this is an updated version. I didn’t find a whole lot updated, but it didn’t need to be, quite frankly. I mean this is one that I’ve had on my bookshelf ever since we first got it and I pick it up whenever I am out of ideas or a client that has somebody that’s outspending them on everything and we need to do something weird. Anytime we need to think out of the box this is a really good resources for that. John Williams: He knew when not to go into detail because of what it wouldn’t cover in the book and I found something in there that I had missed last time, so it was interesting. Michael Gamonal: Awesome. Yeah and me personally, I thought this book was dense. I never read this book once before and there is a ton of information. I don’t know how much information was in the first one, but when it says updated and expanded, like that can mean anything ’cause this, this is a lot of information. But overall me just breaking into marketing I thought it was really good. I mean it had a lot of really solid tips so definitely, definitely a fan as far as I’m concerned. Michael Gamonal: Cool. So should we just go right into the tips? Paula Williams: Yeah, let’s dive right in. First of all, I mean this is the first time that we’ve ever done a podcast in the same room, so I think this is cool. So anyway. I just thought I’d throw that in there. Michael Gamonal: Welcome. Welcome everyone to fabulous Las Vegas. They’re passing through on their way to an aviation item. Where are you guys headed? 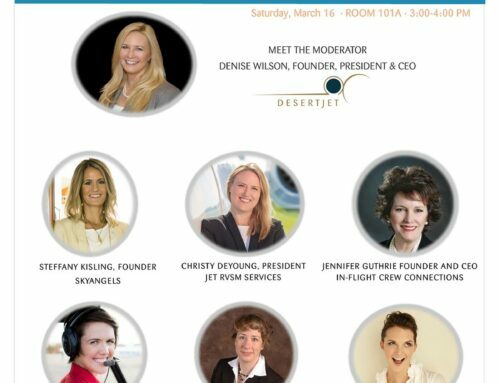 Paula Williams: The Women in Aviation Conference and we’re doing a panel discussion on Saturday and John is doing the technical stuff and Mickey lives in Las Vegas, so we get to hang out a little bit which is fun. Michael Gamonal: Cool, so back to the task at hand. What tips were you guys … what is a tip that you thought was worthwhile? Paula Williams: Should we do one? John Williams: Just pick one. Magazines. John Williams: As an entrepreneur you’re thinking, “I can’t afford a magazine,” especially if you know what they cost. But his point is it’s cheap and the reason he says it’s cheap is because all you gotta do is put one ad in a regional magazine one time and it’ll work for 35 years. John Williams: And he tells you how. Paula Williams: Do tell. Spill the beans! John Williams: You can get reprints for pennies on the dollar. 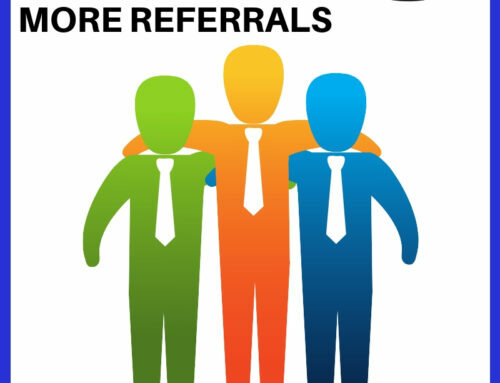 John Williams: And you can, you know depending on what kind of store front if you have a store front or you know if you have just an only web presence and how to approach that. If you have a store front you can leave ’em laying around in different places as seen in. Paula Williams: Oh yeah. The as seen in is something that we use an awful lot whenever we can. John Williams: So I thought that was way cool. John Williams: ‘Cause you know in general print seems to be not as thriving as it once used to be. Paula Williams: There’s that too. Michael Gamonal: … you can totally barter. Like you can throw down with the directors of marketing ’cause at the end of the week they need X amount of ads anyways, so he advocates for kind of leaning on what they need and also you know, kind of splitting up your prints so that you put two small ads in the same magazine rather than one large full page ad and he’s got … You know, everything that we talk about tips-wise, he probably goes in more in depth a good twenty minutes. Michael Gamonal: But magazines in general, yeah, it’s a good point. Michael Gamonal: Yep, that’s right. Yeah and that’s why I give away my first lesson free. And it is … it’s kind of falling their model, but as far as I was concerned when I was doing it, you know, ’cause nobody wants to admit that they’re following somebody else’s model. Michael Gamonal: So, when I first started I was like, Well, I’m going to give away an hour. That way I can figure out if the student is teachable or if it’s just not a relationship that would be worth the time or money or what have you. And so far I’ve had pretty good amount of success. 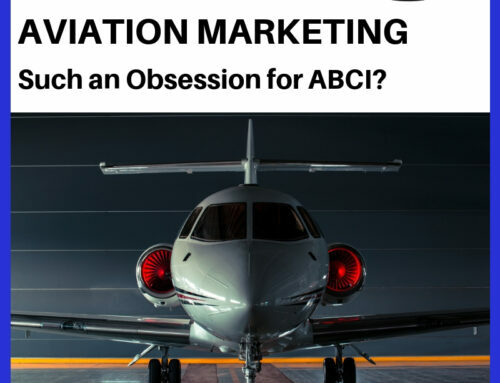 I mean I’ve given away a couple of lessons, but I’ve established a great deal of credibility because I’ve turned around and asked for reviews right on the spot, which was another suggestion by the marketing pros here at ABCI. Paula Williams: It helps when you’re related. Right? Michael Gamonal: It comes in handy. Definitely. Paula Williams: All right. Cool. Michael Gamonal: Did you have a tip that you … well, you said the consultations. Paula Williams: Yep, consultations. So you’re up next. John Williams: He brushed over lightly SEO. But, and he says, “This is too much for this,” and he tells you to go to Google and Yahoo and but what he does say is that you gotta get it straight from the get-go because if you don’t, you’ll never, never climb back up to where you need to be. 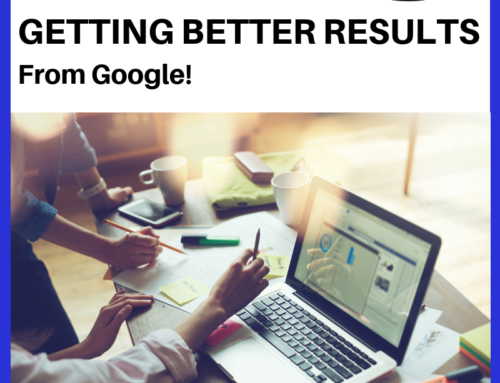 Michael Gamonal: And SEO is search engine optimization for those of you listening at home. John Williams: Yes, my apologies. Paula Williams: Jargon. Jargon. Watch the jargon. Michael Gamonal: No, that’s true ’cause you can totally fill out your web site and you’ll be down at the bottom. John Williams: Well what he says is you start a web site and don’t follow through properly on search engine optimization the longer you go without it the harder it is to get it back up to where it’s actually usable. Michael Gamonal: And does that fall in line with your guys’ experience as well? Paula Williams: Actually it is … we have had sites that have been languishing for 10 years start to perform better, but usually we have to do something pretty radical to make that happen as in like a tear down and rebuild of the site to force a reindex. Paula Williams: So it’s not just adding some content or changing some keywords on the backend. It’s usually takes a little bit more expense and time if it’s an old site that’s been around forever. You have to convince Google that things are really different now. This is really [crosstalk 00:08:17]. Right? Michael Gamonal: We’ve changed our stripes, not our colors. Paula Williams: Yeah, there you go. Michael Gamonal: Yeah. If you remember on the fly. Paula Williams: Yeah, exactly. Podcasting is one of mine, and obviously it’s one that we rely on really heavily. The thing that I love about podcasting is you do a podcast and then you have an audio file, a video file. You have several stills that you can use. You’ve got a whole bunch of pull quotes. You got a whole bunch of text if you do a transcript, so it is the most time effective way to produce a lot of content in a very short amount of time, and it also gives you the opportunity to interview people and bring other people into the conversation ’cause it’s so much more interesting when it’s more than just you talking, right? Michael Gamonal: No, that’s solid. Michael Gamonal: Very good. Yeah. I mean I like, personally I like to listen to podcasts on long drives and that sort of thing, so whenever I listen to … you know, nine times out of 10 I’m not gonna buy the book, but whoever’s doing the podcast, you know they definitely, they increased in credibility in my eyes whether I like the podcast or not, you know, I know that they acknowledge the subject as a field of study, and it does, it increases their credibility, absolutely so I can see the benefits. Paula Williams: Right and you get somebody’s ear for half an hour potentially. I mean when else is that gonna happen? Michael Gamonal: That’s true. Cool. Back to you? Did you have another one? John Williams: Yeah it was sort of an interesting take on data mining, I think and that is do something, unless you just started a business, something you all have as entrepreneurs or business owners and that is satisfied customers and his take is 10% on prospecting of your available resources, 30% on getting them ready and trying to make the sale and 60% on selling to your satisfied customers. John Williams: I know. That’s why I brought that up. Paula Williams: That’s even more than we say and people … we argue with people a lot about that to get them to 50%. John Williams: That’s right. Yeah, but it’s 10, 30 and 60. John Williams: I’ve got it marked for you. Paula Williams: … argue with us about the 50% so that’s … there are people who are worse than us. That’s cool. Michael Gamonal: Cool. Well, yeah, no, I like the percentages a lot. I like the idea of playing to your strengths, right? I mean whether it’s athleticism or business like you gotta use what you’re good at to get further. If you’re going to be the best you need to focus on where you perform best and really, really utilize that. Michael Gamonal: Yeah. I don’t think … I think most businesses … One thing I noticed while I was getting into business is I don’t really take enough credit for the satisfied customers. Like I get pretty stoked that they’re happy, but I never consider how that could branch out to more potential sales. Michael Gamonal: Right. Well, I mean education is sticky like that, right? Paula Williams: It is. It is sticky like that. Michael Gamonal: Because it takes two to really increase knowledge, depth of knowledge. Anybody can learn anything on their own in this day and age. However a tutor is worthwhile if you guys can progress together. Michael Gamonal: Yeah. No exactly. Exactly. It’s pretty similar. You know, even in the library I’m just like, “Make as many mistakes as you can right now.” Like I want you to totally screw this up right from the get go because it’s the growth curve is just so much faster as soon as they’re comfortable making mistakes. And nobody’s comfortable making mistakes alone. I imagine especially while flying. So not a learning curve there if you’re on your own, but yeah, no, that’s great. That’s a really good example. Paula Williams: Yeah, so flying, math and marketing. You know it’s one of the reasons for the lab is so that people have the opportunity to make mistakes in a safe environment, you know to have each other to bounce things off of so that you’re not spending real money until you have some opinions on it and that really helps a lot I think. Michael Gamonal: Yeah, and that’s in the book too. He says test, test, test. Any guerrilla marketer that isn’t testing what their marketing is a fool because you’re not gonna make any money off of that if you don’t know that you’re gonna make money of it is. Michael Gamonal: I really liked that a lot, kind of doing all the research you can before you actually throw the dollars down. Michael Gamonal: And that’s restated throughout. John Williams: Yeah, and as far as we go, we don’t recommend anything that we don’t know works. Paula Williams: Right. That we haven’t tested. John Williams: We’ve tested 19 ways from Sunday. Paula Williams: Exactly. And it … every situation’s different so you know, it is something that tested well and with a different client we have to test with a new client to make sure it’s actually still gonna be as valid with their audience as it was with a slightly different audience. John Williams: But we have some expectation. Paula Williams: Exactly. There you go. Michael Gamonal: No, and I mean that’s so much more than people who are flying blind, right? You guys have the … at least the trajectory this may work, you know? And so, right. Hustling your own products, it’s a grind. So definitely knowing as much as you can to get those sales is really where it’s at. John Williams: That was three each. John Williams: Is there anything else? Paula Williams: I had one more. John Williams: See [inaudible 00:14:28]. Paula Williams: No, I did. Anyway. I think this is my number three unless I’m counting wrong. John Williams: Well, then do it. John Williams: Even if that’s four. Paula Williams: Marketing automation. This is a huge deal because things that don’t get done aren’t gonna get any results. Paula Williams: And you know for a fact that if you’re running a business and you’re serving your customers and you’re taking care of people and everything else, then marketing is the one thing that tends to fall to the bottom of the to-do list and if it doesn’t get done you’re not gonna … whatever your sale cycle is … we’ve got an eight month sale cycle, so if we drop off in our marketing today, then we have fewer customers eight months from now and so our bank account is not gonna be as healthy eight months from now as it was … as it could have been if we’d kept our marketing up. So marketing automation is absolutely positively worth it because it gets done without you thinking about it. John Williams: There’s a subtle reason for marketing automation that I don’t think anybody touches, and that is the fact that when the economy goes down people tend to get rid of marketing and sales for some ludicrous reason which I don’t understand. Paula Williams: Trying to save money. John Williams: Yeah, but that’s where they should not do that because if you don’t sell something, I mean you’re really gonna go down, and if it’s automated then you can reduce staff but still have marketing going on. Paula Williams: Exactly. Right. And so it’s about doing things more efficiently and actually getting them done. Michael Gamonal: Yeah. I like that example of the hard times a lot because if everybody else is dropping their marketing while you’re still maintaining, that’s just more money at the end of the day. Michael Gamonal: Because nobody else is out there anymore as far as anyone else is concerned so that’s great if your competitors don’t have that presence anymore. You don’t really even need to upgrade or lower, just maintaining course, you know, it’s gonna show you that credibility. Paula Williams: This is a car racing analogy, but they say you always win in the turns. You don’t win in the straight aways. You know when things are going great everybody’s doing fine, but the great companies win in the turns and that’s because when things go badly they keep marketing and they keep their … keep things going, right? Michael Gamonal: Sweet. That’s a solid analogy. I like it. Paula Williams: Thank you. I thought it was good. Michael Gamonal: Right. Let’s go hop in a Civic and race. What do you guys say? Paula Williams: Let’s do it. Absolutely. That will be fun. We’ll go drag the strip in Vegas and go find dinner. That will be fun. Michael Gamonal: The race on Fremont now or [Boulder 00:17:02] Highway. Paula Williams: Fremont. Fremont doesn’t even have cars on it anymore, right? Michael Gamonal: Right. Right. Right. Well, Fremont turns in to Boulder Highway. Michael Gamonal: Mm-hmm (affirmative). So you race into Fremont. Michael Gamonal: Not that anybody would do that. Paula Williams: Of course not. We would never dream of it and if the Las Vegas Police Department is listening in, of course we’re gonna air this way after we’re outta town anyway so. Michael Gamonal: Great. Well, I’ll still be here Vegas. But if anybody … So, did anybody … Any final words on the book? John Williams: I don’t think so for me. Paula Williams: I’m happy. I think we did good. Michael Gamonal: Cool. Yeah. Very expansive. Very solid. And if you guys have any comments feel free to leave ’em down below. Paula Williams: We’d love to hear what you thought of the book too. Paula Williams: Yeah! I think that went well. Michael Gamonal: Thanks. I think it went pretty good.